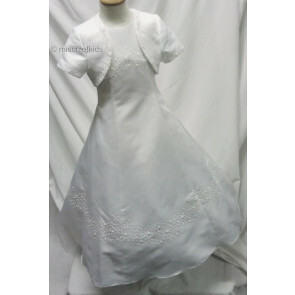 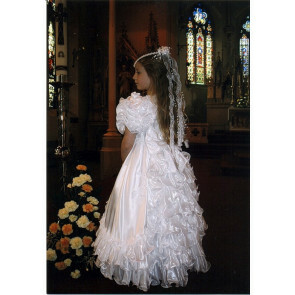 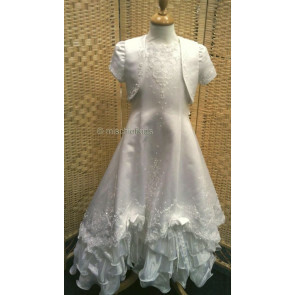 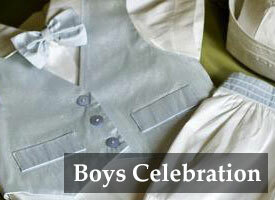 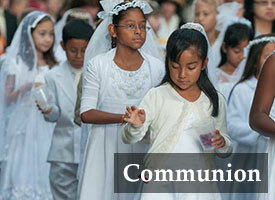 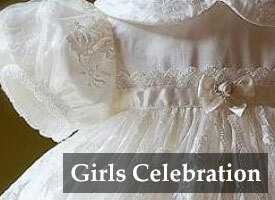 Stunning collection of first holy communion dresses in a wide range of sizes held in stock in our shop stock rooms. 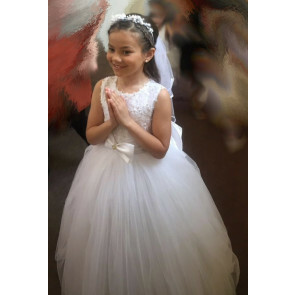 It seems like no time at all since I bought my daughter’s christening gown from you, but a couple of months ago I found myself looking at First Holy Communion dresses. 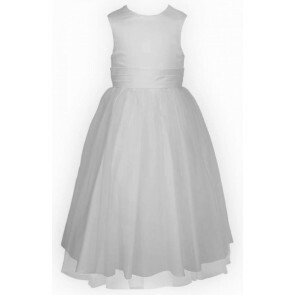 I chose the Little People Snow White dress with bolero. 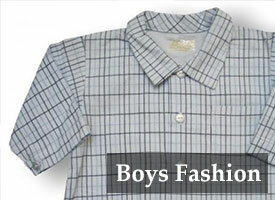 Once again, the delivery was super quick and the product was absolutely fantastic. 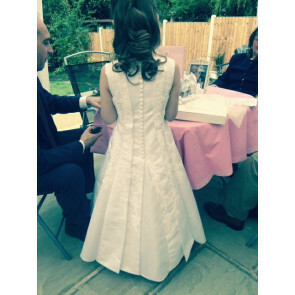 The day of Hannah’s FHD was a very hot day so she didn’t wear the bolero, but for me it didn’t matter as it allowed the beauty of the back of the dress to shine. 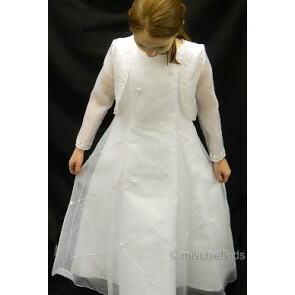 Attached are a couple of photos of Hannah wearing her dress with pride. 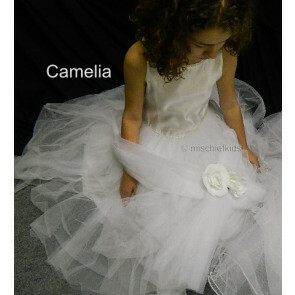 Thank you once again for delivering a superb product. 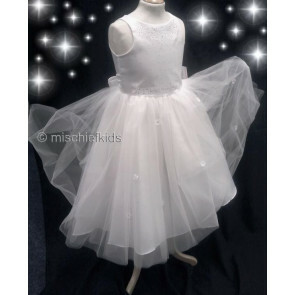 I would highly recommend Mischiefkids, Lynn was extremely helpful and after going into this shop, we didn’t have to bother shopping around, I found the perfect dress, and Lynn made my daughter feel very special indeed on her big holy communion day, I have recommended a few friends already for their communion dresses.